The 2012 XCountry Course and Regionals are approaching fast, starting on the 21st November first with the XCountry course, followed the week after by the Regional Competition. Both are at Matamata airfield. For competition details and entry form see here. Early bird pricing for the contest is available for entries in before 1st November, so enter early to save! 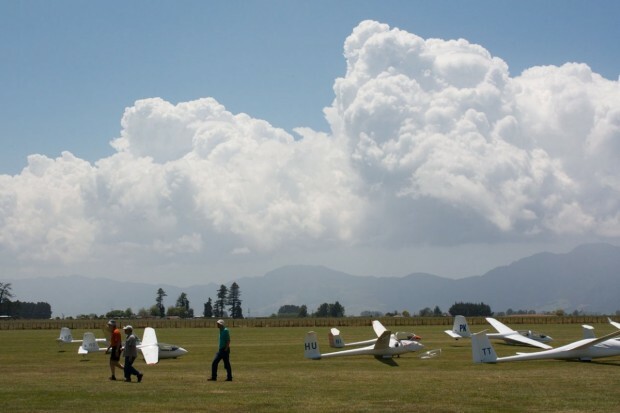 We also have the Kaimai Challenge on this weekend, so if you haven't done it yet, get in touch with an instructor, book a twin or a single, and plan to give it a go. It's quite acheiveable in either thermal or ridge conditions, and we may well have some westerlies this weekend.